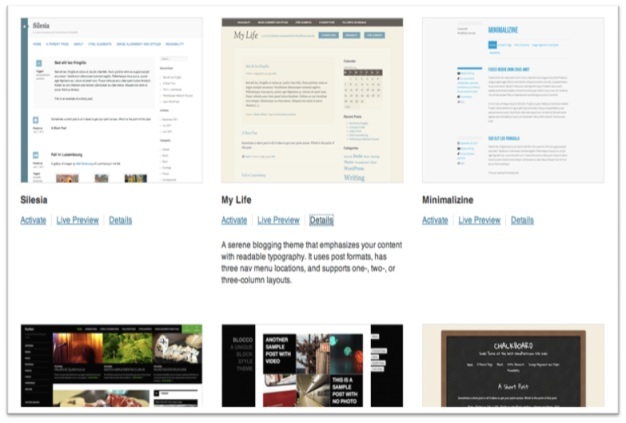 WordPress.org provides a free blogging platform where you can very easily create and customize your blog. Claire Jarvis teaches you a few basic customization options available in WordPress. WordPress.org provides free blogging platform to allow users quickly develop a personalized blogging website. These blogs can be used customized even by people without any coding knowledge. It is worth putting a bit of time into customizing your new blog and thinking about how you want it to look. If you want to attract viewers to your site then it needs to be easy to navigate, beautiful to look at, and full of good content. Leaving blank space under pre-formatted headings makes visitors believe that you don’t know what you’re doing when it comes to blogging, or – even worse – that you aren’t concerned about the blog’s appearance. Any WordPress blog you create can be customized as soon as its name and website address are registered during the Sign-Up process. WordPress will invite you to access the blog’s personal Dashboard. Here you will find the menus that allowing the creative design process to begin. Select Appearance and the sub-heading Themes. 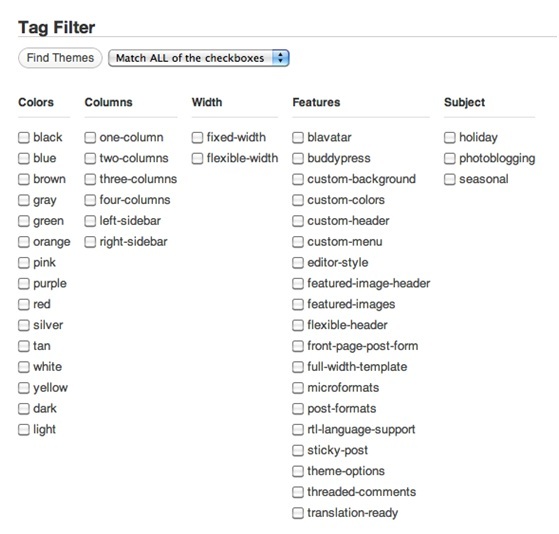 There are 200 free themes to choose from when setting up your blog from scratch. These pre-designed layouts are orientated towards different types of blog: some incorporate large images into their menus or sidebars, making them more suitable for photographers or artists, while others have a lot of room for text, ideal for bloggers who intend to write a lot. For those with the strongest motivation to stand out from the crowd, WordPress users can also buy a “premium” option or choose to code their own template. The large selection of available themes can be filtered down based upon desired parameters: colors, number of columns, built-in features. If you find your tastes evolving after setting up the blog, don’t worry – themes can be changed as many times as you want! Once the Theme has been chosen, additional widgets can be added to the blog through a simple “drag and drop” system, found under the ‘Widgets’ sub-heading in ‘Appearance’. You can choose the location of your Widgets within the sidebar, footers or headers. Possible widgets you might wish to include are ones that link between your other social media accounts (Twitter, Flickr), ones that list your favorite blogs or ones that stand alone as text or images. Once the widgets have been added they can be moved from the top to the bottom of your website, or else removed altogether. Widgets allow you to showcase more of yourself from the blog’s landing page in: the most important pieces should be near the top of the site, not buried at the bottom of the sidebar. If blogging is something you intend to do on the spur-of-the-moment as the inspiration strikes you, then there are WordPress applications that allow you to blog from most brands of smartphones. For example, the mobile application for Android phones (see WordPress for Android) gives bloggers the freedom to post articles, edit blog comments and view a smartphone-friendly dashboard. These can set up under the ‘Mobile’ sub-heading. At this point you should be in possession of a smart and polished newborn blog. Congratulations. Now you only need to sort out your content.